The client will acquire a wider array of data preparation skills. Many modeling procedures will require complex data manipulation. This module expands the client’s data preparation skills beyond basic data preparation, thereby enabling more complex data analysis. The client will be able to select the appropriate clustering and association modeling techniques and optimize their settings for the most effective analysis. BM SPSS Modeler provides several clustering techniques that can identify subjects with similar attributes (e.g. customers with similar preferences), and association techniques that can identify attributes frequently occurring together (e.g. bundles of products often purchased together). The client will be able to take full advantage of the most commonly used modeling techniques by providing an in-depth understanding of them, and teaching how to select the appropriate techniques and optimize their settings for the most effective predictive analytics. 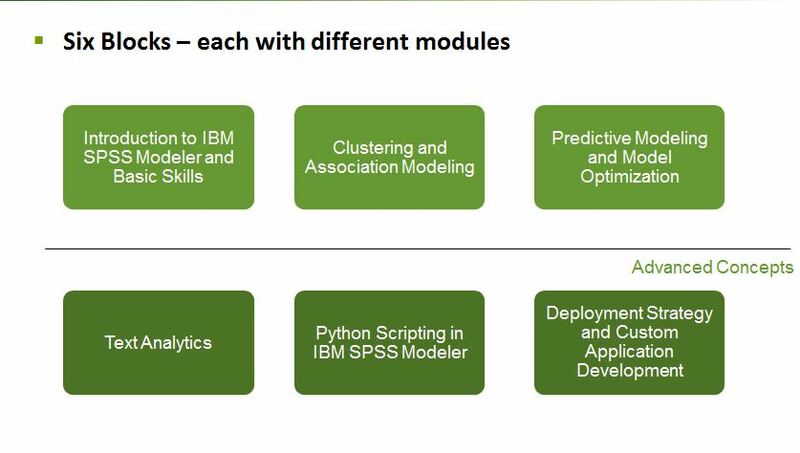 The depth of the predictive modeling techniques available in IBM SPSS Modeler distinguishes it from other software products such as spreadsheets and relational databases. The predictive modeling techniques covered in this module will become an integral part of an organization’s data mining process. The client will be able to implement a text analytics process that supports and extends data mining within an organization. Text analytics extracts value from unstructured data by producing new flag fields that represent embedded topics and sentiments of interest. The new flag fields can also be used as either predictors or target fields in predictive analytics. This module develops the skills to control and improve the process of creating the new flag fields, and to reduce the amount of time required by re-using prior extractions. SPSS has embraced the Python language for automating and extending the capabilities of all of its products. Python scripting enables the client to automate tasks such as repeatedly executed steps with loops and conditionally executing steps in a stream. The SPSS platform enables the organization to scale best practices to maximize analyst efficiency. Capabilities including automation of analytic processes, custom nodes synergies with various other technologies including business intelligence, streaming data, rules and optimization give the Data Scientist more options for deployment of analytic results. 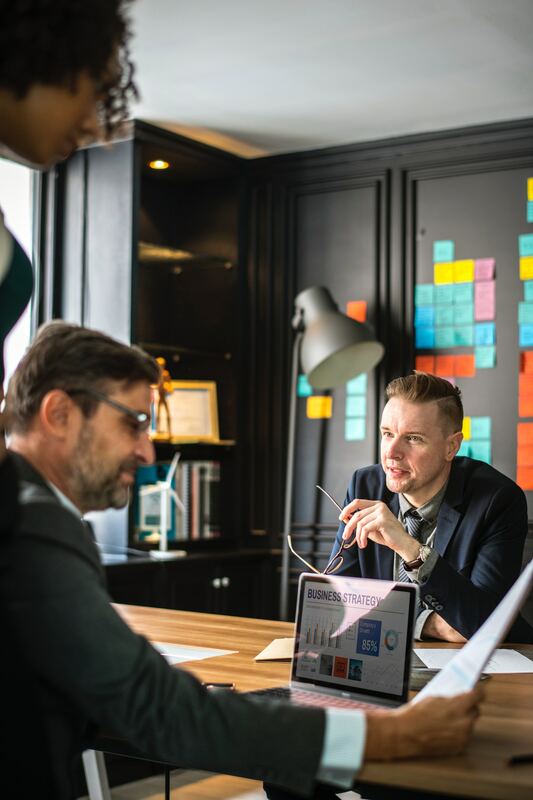 Over the course of many years in helping clients with projects and coaching emerging Centers of Excellence, we have created a 3 stage maturity model for the analytic professional interested in predictive analytics. The analyst will be able to conduct business requirements gathering functions in support of creation of a broader project plan. The analyst is competent in data manipulation and familiar with most, but not all of the modeling techniques available in the organization’s data mining toolset. The analyst will be able explain when to select appropriate clustering and association modeling techniques based on data profile and business problems, and will be able to optimize model performance using available settings. The data scientist will be able to fully implement all phases of a predictive analytics project. The analyst will be able to comfortably converse with business sponsors on their goals and objectives for a predictive analytics project. The analyst will be able to manage all steps of the predictive development lifecycle including complex data transformation and preparation, modeling, and deployment to operational systems. The data scientist will be familiar with techniques including text analytics and programmatic customization. Aviana has developed a training program to gradually build up analytics expertise to the appropriate level of the practitioner. Our trainers are all experienced data scientists with real world project experience. 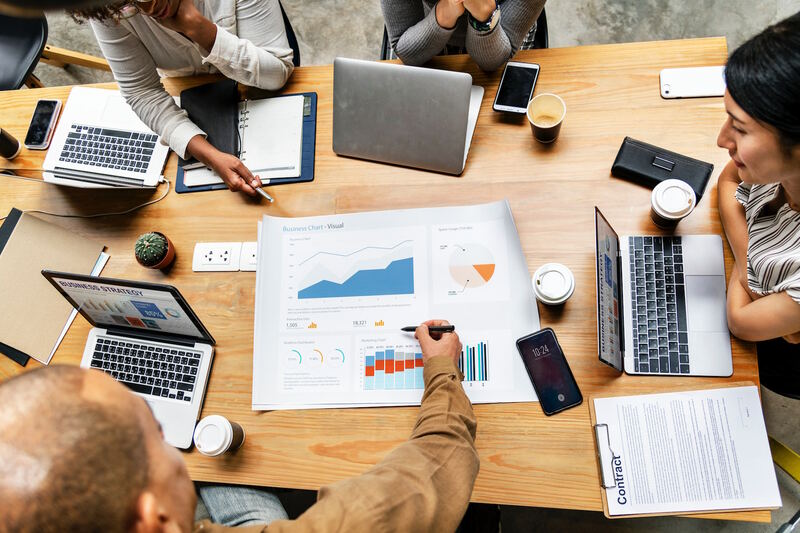 We specialize in SPSS Predictive Analytics – and can help your organization build skills with the tools to better deliver value in your analytics program. 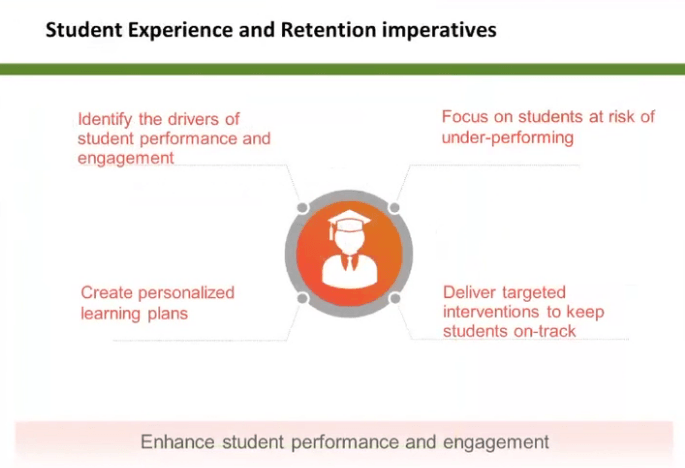 Student retention is a critical factor for all colleges and universities. Gaining insight into the key factors that adversely affect student success helps schools intervene with students before they drop out. Underrepresented students – first-generation students, minorities, those facing economic hardships – are disproportionately impacted and are the least likely to proactively seek out help. 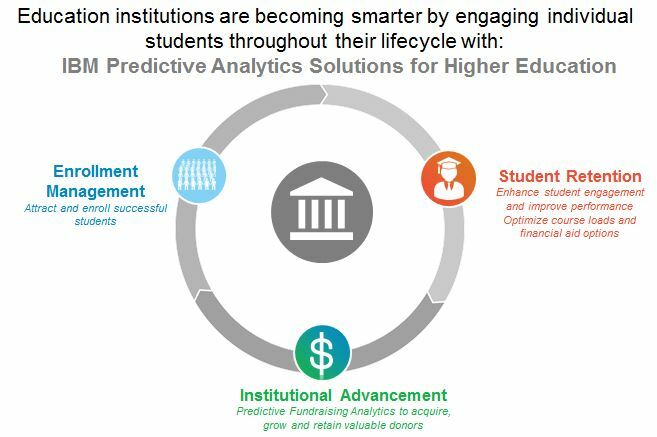 Aviana Global leverages the power of IBM’s predictive analytics solutions so colleges can rapidly identify, analyze and predict which students are most at risk. Colleges can then work with those students to find ways to keep them enrolled as well as close the achievement gap between underrepresented and non-underrepresented students. This same software platform can even be used to analyze past security incidents so that security staff can be better allocated to high risk areas and improved lighting or monitoring can be installed to greatly increase campus safety. Aviana offers the following three training tracks for instilling different levels of competency in data mining with the IBM SPSS Modeler software. These tracks are modular, so that completion of lower levels of training will apply to higher levels of training (i.e. the components of lower level tracks are the building blocks of higher level tracks). In addition, persons who are already familiar with the IBM SPSS Modeler software and some aspects of data mining could select only the advanced components of a high level track. Our training program reflects the industry standard CRISP-DM methodology which includes Business Understanding, Data Understanding, Data Preparation, Modeling, Evaluation, and Deployment. Aviana provides a variety of delivery models to work with your training and workshop needs. Tailored agenda for attendees with courseware which is custom developed to leverage your own data. This can help bridge the “gap” between the features and capabilities learned in classroom environment on fictitious data and how those concepts can be applied in a real-world environment. This is the same customized approach as the onsite training, but delivered live via Skype. As with any training, the opportunity to learn in a classroom with an instructor is always best. If the online delivery method is preferred, our instructors will work with your team and provide truer-to-life training, leveraging your data to create real-world models. Our workshop courses are an ideal way for an organization to bring larger groups of people up to speed on the basics in a short time. No formal courseware is provided but instead the instructors will design an outline curriculum to be used and will guide a classroom through introductory concepts and exercises. If you’ve had churn in your group and would like a refresher course, our workshops might be the perfect way to start before choosing a more formal training approach.